Port of Spain, Trinidad, CMC/ WICB – Windward Islands stormed into the final of the Regional Four-Day Championship on Monday, crushing Trinidad and Tobago by 234 runs inside three days at Queen's Park Oval and announcing themselves as legitimate contenders for the Headley/Weekes Trophy. 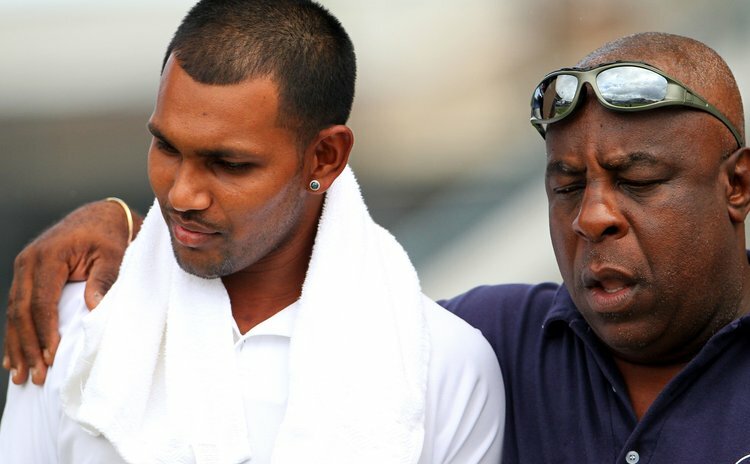 They were propelled by left-arm seamer Kenroy Peters who produced amazing career-best figures of seven for 36 as T&T, set 340 for victory, meekly collapsed for 105 all out, approximately 45 minutes before the close. Only West Indies opener Lendl Simmons, who struck a fluent 31 from 33 balls with seven fours, managed to get past 20, as wickets tumbled spectacularly with seamer Mervin Mathew supporting with two for 16. What made the emphatic nature of the victory even more remarkable was the fact Windwards were once again without their champion West Indies off-spinner Shane Shillingford who sat out the game battling a bout of flu. The Windwards will now await the winner of the other semi-final between Barbados and Jamaica, currently underway at Kensington Oval in Bridgetown, with the final set for next Saturday. Earlier, the Windwards were dismissed for 231, about half-hour after lunch, after resuming the day on 88 for two. Prolific left-handed opener Devon Smith top scored with 63, captain Liam Sebastien got 33 not out while Keddy Lesporis hit 26. Leg-spinner Imran Khan finished with five for 46 while left-arm spinner Ricky Jaipaul and seamer Rayad Emrit, both claimed two for 35. T&T struck early in the day when they removed Sunil Ambris for his overnight 13 with no addition to the score, but Smith pushed on from his 44 at the start to complete his 41st first class half-century, and see the Windwards past 100. He eventually fell after 130 minutes at the crease, facing 110 balls and striking nine fours, and Lesporis and Sebastien then assumed responsibility for the innings. Lesporis, who faced 51 balls and struck two fours, put on 35 for the fifth wicket with Romel Currency (10) before Sebastien added 32 more runs for the sixth wicket with Mathew (4). Peters hit two fours in 17 and Nelon Pascal hammered two fours and a six in an identical score down the order, as the Windwards set T&T a difficult target. T&T then raised hopes of pulling off a splendid run chase when Simmons and Evin Lewis (17) put on a breezy 50 off 57 balls for the first wicket. But once Simmons was caught behind off Peters, T&T lost wickets in clusters as their last nine wickets crashed for just 46 runs. With a big innings needed from Darren Bravo, the West Indies left-hander once again failed when he edged Peters to Lesporis at second slip for eight and when Lewis misjudged one from Peters, offered no stroke and was lbw, T&T were reeling at 60 for three at tea. After the break, Jason Mohammed (12) and Akeal Hosein (4) put on 21 and appeared to be digging T&T out of their mess, with the score reaching 80 for three. However, Mohammed flirted with one from Peters outside off stump and nicked behind and two overs later, Hosein was brilliantly run out by Currency's direct hit as he attempted a sharp single. Tottering on 80 for five, T&T were looking to skipper Denesh Ramdin for salvation but he lasted just 19 minutes for his seven runs before he also edged one from Peters that bounced, to wicketkeeper Johnson Charles, at 87 for six. The Windwards clinically kept up the pressure and the T&T tail folded without resistance.